Music by Traffic Experiment is a free 7-track mini-album containing music from our existing catalogue and is a good place to start if you've never heard anything by us. Click here to listen to and download the album. 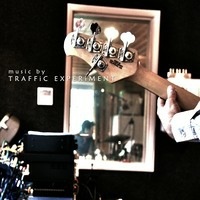 TRAFFiC EXPERiMENT are a progressive art rock band based in the UK. We release music through our own independent label. To hear what Traffic Experiment sound like (and bypass the obligatory, and usually vacuous, list of superlatives, influences and dubious claims) skip straight to the music section here. Or, if you really do want to know more about what we think we’re all about, then click this link here.